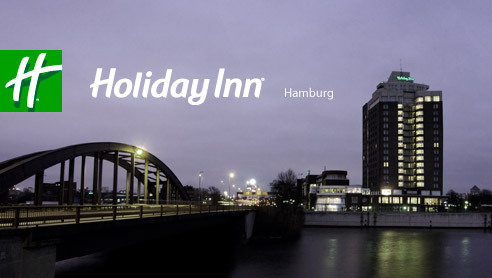 A valuable voucher to start the new year with Hotel.info, part of the largest German online hotel reservation business. € 20 off any booking with a value of minimum € 99, for stays in Western Europe. The reservations must be made until 31 January 2017, with stays until the end of the year. The voucher is not valid for all hotels. Only € 50 per night, double room, breakfast included, each Sunday night until the end of March 2017. Rates are cancellable, so even better. 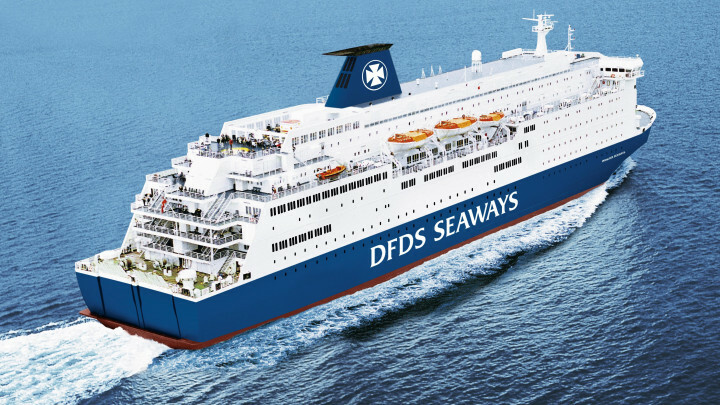 DFDS Seaways has a winter offer running until 29 March 2017, with special prices for mini-cruises to Amsterdam. Bookings must be made until 1 March 2017. Enjoy! The regular "private sale" evens from Accor Hotels makes its debut in 2017. Booking period until 19 January 2017. Rates are non-refundable, so book only if you are sure of your trip. 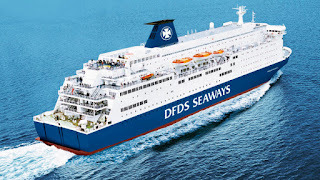 The rates provide a discount of up to 50% compared to the regular flexible rate. Stay dates vary from region to region (from 2 April 2017 in Southern Europe, to 30 June in Asia and Australia). This is the new promotion from Club Carlson, the loyalty programme of the Radisson Blu, Radisson, Park Plaza, Park Inn by Radisson, Country Inns & Suites By Carlson and Quorvus Collection hotels. You need to choose one of the five options and register for the promotion before making the reservation. 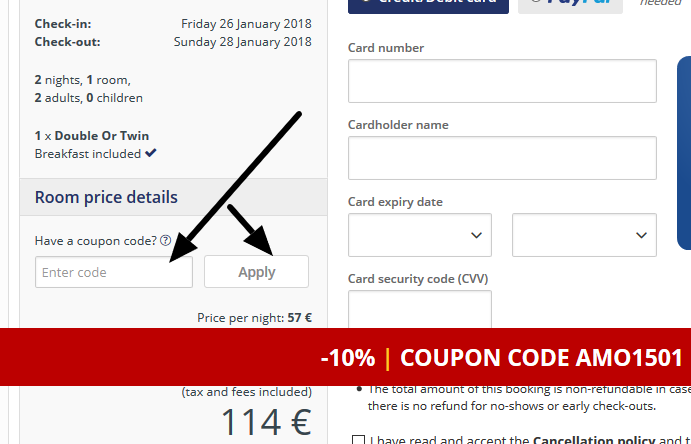 eDreams just released a £20 promo code for flights during 2017. The eDreams voucher code is valid for ticket purchases of minimum £300. Reservations period is until 24 January 2017. 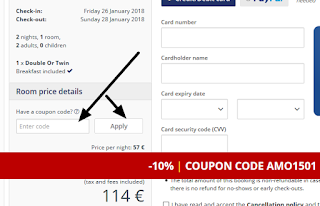 The discount code must typed in during the reservation process, just below the passenger contact details, in the field "Add a promo code" (see print-screen below). The reduction in price will be visible in the next screen of the reservation process. Now you can enjoy the adrenaline of the rides at the Stratosphere Tower with a significant discount. Only $25 per person for the Unlimited Ride Pass, compared to the $40 which is the official price. Experience shows that it is very difficult to find any sort of Hilton discount codes in 2017. However, we managed to find a "Promotion / offer code" that gives most of the times a 20% discount. The link works often, but there may be properties / periods when it does not produce effects. As a tip: once the room rates are shown, always click on the text "View packages and promotions for this room" to make sure you see all offers and select the best option for your travel needs. Let us know the properties where it worked successfully. 42€ per night, breakfast included, for double-rooms at the Orea Hotel Pyramida**** in Prague. The rate also includes a welcome drink, free parking, free internet and free access to the indoor pool. This could be a good opportunity for a winter week-end in Prague.